By Randy LewisSeptember 27, 2012, 6:00 a.m. But this is no random stroll down memory lane for Dolenz, who will reunite with former band mates Michael Nesmith and Peter Tork for a Monkees tour starting in November. The idea came together at least in part as a salute to Davy Jones, the group's singer who died in February at age 66. “The whole idea is that this album would be a kind of a scrapbook of my life, from the Monkees days, from before the Monkees and post-Monkees as well,” Dolenz, 67, said between bites of a tuna niçoise salad at a posh hotel in Hollywood, a few hours before he was to host an album listening session at Capitol Records on Wednesday. The “Remember” album grew out of Dolenz recounting stories such as this to producer David Harris about four years ago when the two started talking about working together. Soon the idea emerged for Dolenz to work up other songs that meant a lot to him. “Johnny B. Goode,” which has been covered by hundreds, if not thousands, of other singers, shows up because “it was the song I sang at my audition for the Monkees and that got me the job,” he said. 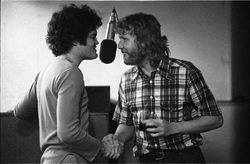 The song's arrangement on “Remember” veers from the electric guitar-driven rave-up most often used on the song in favor of a swampy, acoustic treatment, with Dolenz playing the guitar. “Sugar, Sugar,” likewise, holds a special place in Monkees history: The song had been selected by music publisher Don Kirshner for the foursome to record as their next single. Kirshner lost the battle and was fired. Afterward, he famously created the Archies, a cartoon rock group that took “Sugar, Sugar” to No. 1 on the pop chart, as recorded by a group of studio musicians that included singers Ron Dante, Toni Wine and Donna Marie, who received no credit until well after the fact. Dolenz is a regular presence at concerts and other musical gatherings in Los Angeles, when he’s not touring or involved in the stage musicals that have occupied much of his time in recent years, including productions of “Hairspray,” “Grease” and the Elton John-Tim Rice version of “Aida.” Last week, for instance, he showed up at the Grammy Museum for the Beach Boys’ Q&A session and performance. As for the album’s title song, he connects with that one on several fronts. “I was with Harry when he wrote it,” he said. “I was with him when he wrote a lot of songs. And of course, the Monkees were the first to record one of his songs,” referring to “Cuddly Toy,” which allowed the then-struggling singer and songwriter to quit his day job at a bank in the San Fernando Valley. Dolenz has a few solo shows lined up to showcase his extracurricular interests before the Monkees' reunion tour gets up and running for a dozen dates starting in Escondido on Nov. 8 and reaching the Greek Theatre two nights later. Calendar will have more details on their plans closer to the start of the tour.